Kawhi Leonard will not take the floor with the San Antonio Spurs until the start of the regular season…at the earliest. This injury doesn’t appear to be too serious. There would be more buzz emanating out of San Antonio if something more sinister was at play. The NBA’s latest view on player rest during the regular season also means the Spurs won’t have the freedom to bench Leonard that they’ve enjoyed in the past. This could be their way of conserving him since they have to be more selective in how they dole out relaxation periods from Oct. 16. At the same, the nod to an absence of a timeline feels just weird. 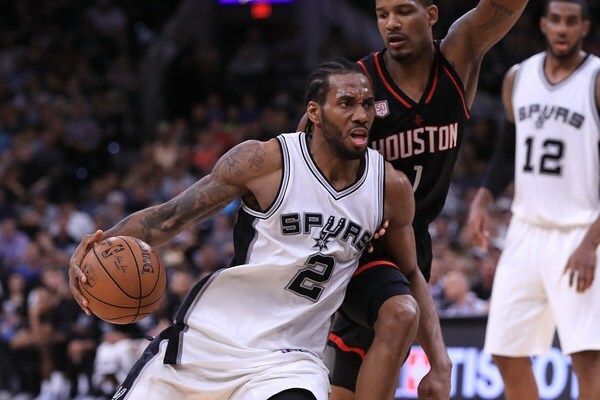 It suggests there may be a chance Leonard won’t be ready to rock for opening night, and perhaps beyond, in which case the Spurs would be in minor trouble. Playing in the preseason has value. Leonard has no doubt kept himself in game shape, because he’s a diligent beast. But behind-the-scenes simulations only get you so far. He’ll need time to master the speed of play, particularly if this injury has prevented him from engaging in any important basketball activities prior to this announcement. Of course, these are the Spurs. The assumption has to be that everything will be fine, even if Kawhi Leonard isn’t. Should he miss some of the regular season, maybe even a large of chunk of it, we can probably still pencil them in for 50-plus victories. So, there’s that.